Americas Best Value Inn and Suites St. Marys offers the most value for your money when staying for business- pleasure- or just passing through. We are an AAA 2-Diamond hotel with clean spacious rooms- suites- meeting facilities- guest laundry facility- free continental breakfast- and free WiFi throughout the property. All guest rooms include microwaves- mini-fridges- hairdryer- and cable TV channels with HBO. We have a playground- fitness center- and seasonal outdoor pool on the property for our guests. We also have our on-site restaurant and lounge- Duffy*s Lounge- that serves pizza- subs- and beer. Take advantage of our extremely comfortable beds and relax while saving money year-round with our Kids Stay Free Policy *11 and under in parent*s room*. For those guests that are in town on longer term corporate assignments or business trips we also offer special weekly and monthly rates- as well as direct billing options. For your convenience our hotel offers both smoking and non-smoking rooms. Pets are welcome- restrictions and charges apply. We are centrally located less than 1 mile from Memorial Park- the Armstrong Air and Space Museum- and the University of Northwestern Ohio. We are only 1 mile from State Route 29. Americas Best Value Inn and Suites St. Marys is your best choice when you are in *Rider Town. * We offer ideal accommodations and location whether you are in town for business- recreational activities- or simply passing through on your way to Dayton or Columbus. At Americas Best Value Inn and Suites St. Marys our goal is to provide our guests a great experience- not just a place to stay. At Americas Best Value Inn and Suites St. Marys- We*ve Got You Covered from the time you hit the road until your head hits the pillow. Beer Barrel Pizza and Grill: 1.5 mi. Lee*s Famous Recipe Chicken: 0.1 mi. Buffalo Wild Wings: 2 mi. Bob Evans Restaurant: 7.6 mi. 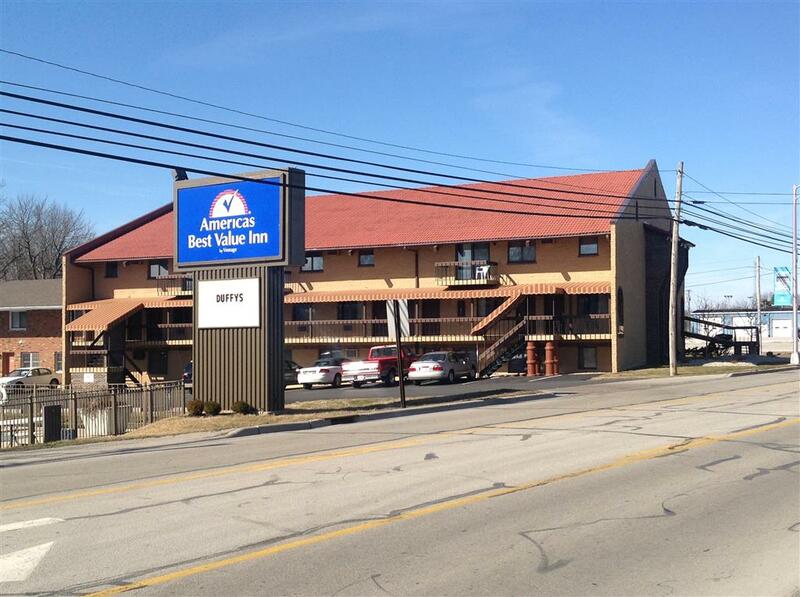 Welcome to Americas Best Value Inn and Suites St. Marys- located off off of OH-29. Our hotel offers easy access to downtown St. Marys and Grand Lake St. Marys Lake. Our address is 1321 Celina Road- St. Marys- OH 45885.